"I knew early on that we needed to settle the food problem because if you can grow food it's empowering. In fact I believe growing food is one of the most dangerous occupations on the face of this earth because you're in danger of becoming free." Ah! The Dervaes family!! An inspiration to so many in the world. This film features: Jules Dervaes, Justin Dervaes, Anais Dervaes and Jordanne Dervaes Homegrown Revolution is a short introduction to the homegrown project that has been called a new revolution in urban sustainability. Through the creation of the "Urban Homestead" the Dervaes family shows that change is possible -- one step at a time. They harvest 3 tons of organic food annually from their 1/10 acre garden while incorporating many back-to-basics practices, solar energy and biodiesel in order to reduce their footprint on the earth's resources. Through the creation of the "Urban Homestead" the Dervaes family shows that change is possible. Homegrown Revolution is a short film that was never created for a film festival circuit but has a true homegrown, homemade story behind its creation. The original version of Homegrown Revolution was made in three days for a lecture Jules Dervaes gave at the University of California Los Angeles in October 2007 on the topic of Slow Food (see the original version: http://www.youtube.com/watch?v=89HRDnYRLzY). It received a wildly enthusiastic response from the students and, subsequently, attracted an avid following on YouTube, with over 500,000 views to date. This new version of Homegrown Revolution was created in 2009 and went on to screen at many film festivals throughout the world. It is a collaborative project done by Jules, Anais, Justin and Jordanne with each member taking part in the filming, editing and structure of the film. No one had any previous film editing / filming experience but they hope the passion and enthusiasm of their lifestyle and project show through any technical flaws. Made in-house on computers powered by solar/green sources. All transportation was done in a biodiesel-fueled car and All camera/mic batteries were rechargeable and charged with solar energy. Waste was kept to a minimum -- paper composted or recycled and all publicizing materials printed on post consumer paper. • Clips were also feature on OPRAH's 2009 Earth Day show. "Sitting at our back doorsteps, all we need to live a good life lies about us. Sun, wind, people, buildings, stones, sea, birds and plants surround us. Cooperation with all these things brings harmony, opposition to them brings disaster and chaos." Humus is undoubtedly the fat of the land. The layer of soil essential for healthy food production which is being gradually depleted by unsustainable farming practices. Graeme Sait a lifelong human and soil health educator explains how 467 billion tonnes of carbon has been released from the soil into the atmosphere, and that we urgently need to return that carbon to the soil, and start replenishing the humus in order to reverse the impact. 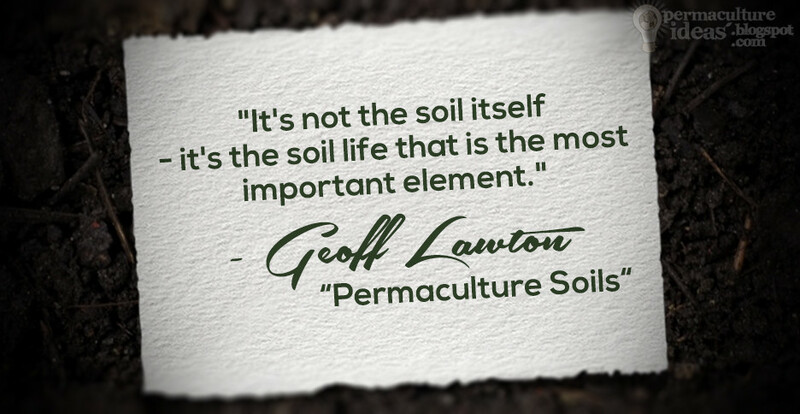 "It's not the soil itself - it's the soil life that is the most important element." Tree grafting to those who've never looked into it seems like a magical thing; a complex skill beyond the capability of those who haven't studied horticulture or born with "green fingers". This video is shows how straight-forward it really is, and you'll be wanting to go out and do it immediately! Imagine the fruit trees you could have growing around your home...!! Cory Krell chair of the North County San Diego CRFG Chapter grafts up a local apricot variety onto some St. Julian 'A' rootstock using a cleft graft. The goal of this project was to distribute a few varieties of apricots to CRFG members that we know perform well in our area, but are not commercially available. The trees will be scattered throughout San Diego county in a variety of climate zones. Periodically we will collect data on these trees to see which varieties perform better than others in any given area. The project preserved and spread out the genetic material for some rare varieties and injected 100 trees into the communities providing food for people and wildlife, shade, and something pretty to look at. All of the grafting was done in front of the members as a learning demonstration. Members were able to learn as several long time grafters used a variety of grafting techniques. 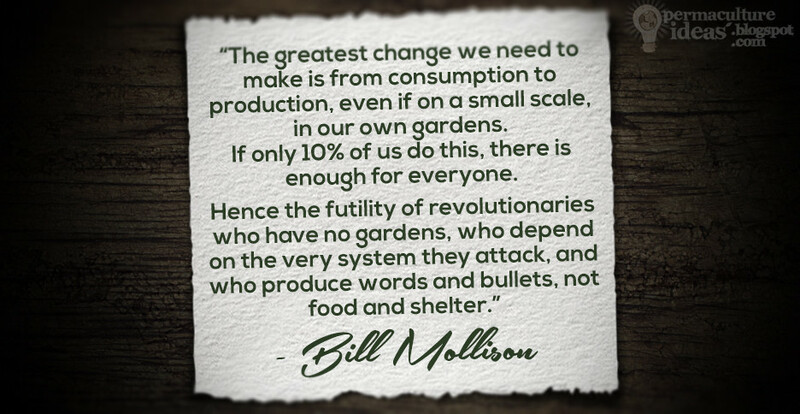 "The greatest chance we need to make is from consumption to production, even if on a small scale in our own gardens. If only 10% of us do this, there is enough for everyone. Hence the futility of the revolutionaries who have no gardens, who depend on the very system they attack, and who produce words and bullets, not food and shelter." Biological control is a natural method of reducing pests that uses their natural enemies rather than harmful chemicals or pesticides. These natural enemies, also called biological control agents, include predators, pathogens and parasitoids. By using these natural methods of pest control, we can all reduce and even eliminate the use of environmentally damaging types of pest control. Don Kuperhand, Organic Technology Director for Organic Pest Control NYC says "When working with the delicate ecosystem of a garden or crop field, finesse is key. With biological control agents, we are able to zoom in on problematic pests without causing harm to the surroundings that we want to preserve. This is an extremely powerful strategy as it employs both laser precision targeting of the problem pest, while maintaining the health of a garden or crop and done so in a way that is in agreement with mother nature. Using natural enemies to control pests, while may require some trial and error initially, is worth the effort to sustain a healthy ecosystem. We are able to alleviate a problem without the use of harmful chemicals which would otherwise exacerbate the situation further." Lady bugs do more than just provide children with endless hours of catching and releasing entertainment. Insects such as ladybugs, lacewings and the praying mantis eat harmful pests in very large amounts as part of their daily diets. Pathogens such as fungi, viruses and bacteria can make pests sick, just like they can humans. Choosing and releasing a pathogen that is designed to specifically attack a harmful insect group in your crop can efficiently eliminate these nasty pests. These creepy creatures resemble the nightmare scene from Aliens. As they develop past their larval stage, they kill their insect hosts. Certain flies and wasps start their life cycle in this grizzly way, thus eliminating your garden of its insect enemies one unwilling host at a time. What Makes the Best Biological Control Agent? The best biological control agents reproduce easily, are very specific to the intended pest that needs to be controlled, and will easily adapt to many different climates and conditions. It is also important that this natural enemy is active at the same time that the pest is active. Of course "agents" aren't limited to just insects. Take for example, the relationship between the chicken and the fruit fly. The chicken breaks up the lifecycle of the fruit fly, which increases the health of the ecosystem and prevents damage to fruit and fruit trees. Conservation focuses on preserving your pests' natural enemies that already exist in your environment. This is one of the most important and easiest forms of control as the natural enemies that are already present are already adapted to your environment. This cost-effective method's biggest requirement is simply careful thought and planning. For instance, if you find that it is absolutely necessary to use a pesticide in your garden or crop, taking care to select the most targeted product that has the least impact on other species will ensure that your crops' natural helpers don't suffer the same effect as its pests. Sometimes a garden or crop pest is one that doesn't naturally occur in your environment. These exotic invaders make their way to a new place and thrive due to the lack of natural predators that exist in their original home. In order to bring these pests back down to manageable levels, their natural enemies can be imported as well. 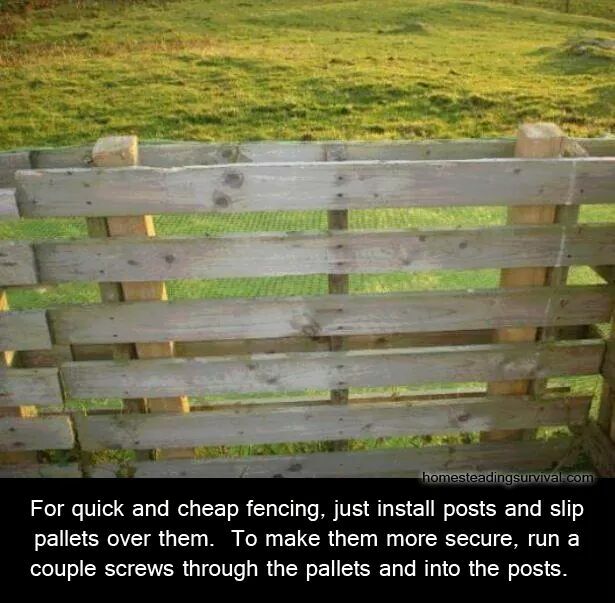 If they can learn to thrive in the same environment as your unwanted pests then the pests will no longer have an advantage. This long-lasting and inexpensive method requires little maintenance once the initial set-up efforts have been made. Simply taking steps to ensure that the new natural enemies are comfortable and able to thrive in their new home will keep them active and reproducing season after season. This last control consists of simply releasing more of your already occurring natural enemies. 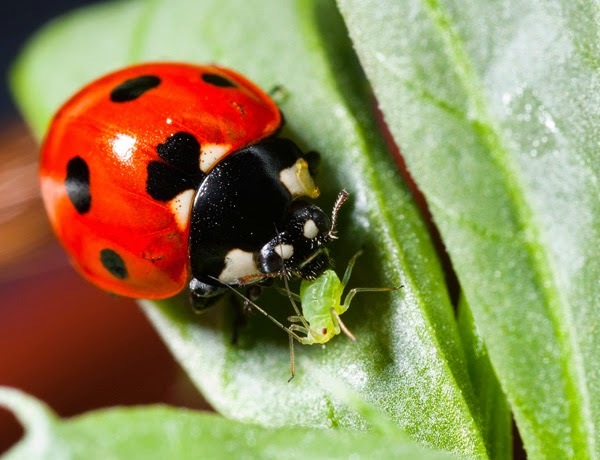 For instance, if your tomato plants are overrun by aphids, releasing a fresh crop of ladybugs will please both the plants and the hungry little cuties (not to mention the kids). Augmentation can also be achieved by enhancing the environment to provide additional beneficial food sources and shelter for your friendly little helpers. For instance, mixed plantings and flowering borders can enhance your natural enemies' environment by providing additional sources of pollen nectar and varied sources of shelter. But be careful with this method, as plant pairings and borders must not become sources of enhanced food and shelter for your pests as well. A great example of this method is planting calendula as a border plant. It will attract beneficial ladybugs while repelling the nastier pests! Of course, all of this intricate planning will benefit you and your crop very little unless done the right way. 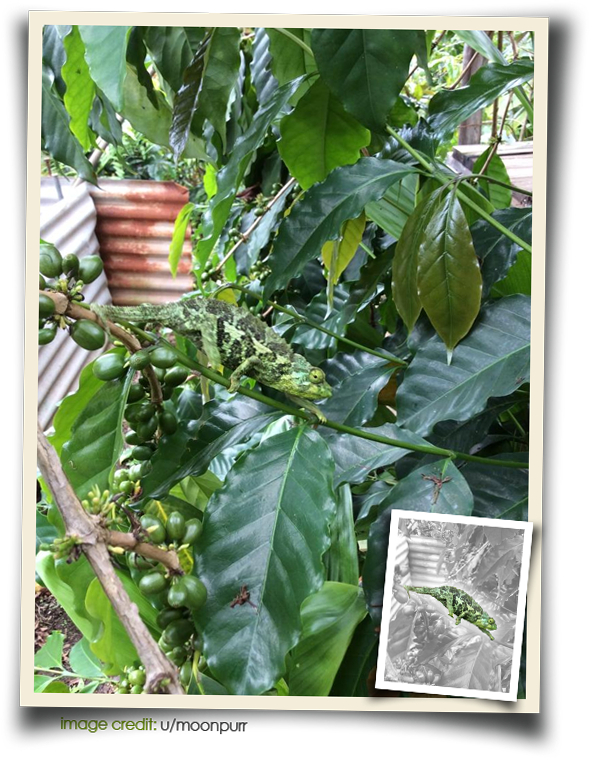 Releasing your little helpers at the right time and into the right environment is key to successful biological control. Research your target pest, its natural enemies, their life cycles and your own environment to ensure that you are making the right choices for your crops. This way, you will prevent your careful purchase from simply dying upon release or making its way to a more friendly environment where it won't do any good for your crop. Knowledge is the tool that will benefit your crop most of all. Michael Bonds is a consultant for an NYC environmental firm that focuses on organic approaches in pest management and green sustainability, Organic Pest Control NYC. He enjoys exploring alternatives to traditional approaches and going green wherever possible. In the 80's NASA thought it quite important to conduct a study to find out which plants would suit astronauts' needs best when it comes to purifying the air. Turns out plants to much more than taking in carbon dioxide and releasing oxygen. The following plants were listed the best in terms of absorbing and filtering out toxic airborne particles and gases. 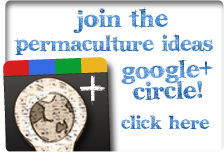 Welcome to part two of Permaculture Ideas' Natural Ait Purifiers. Part One can be found here. 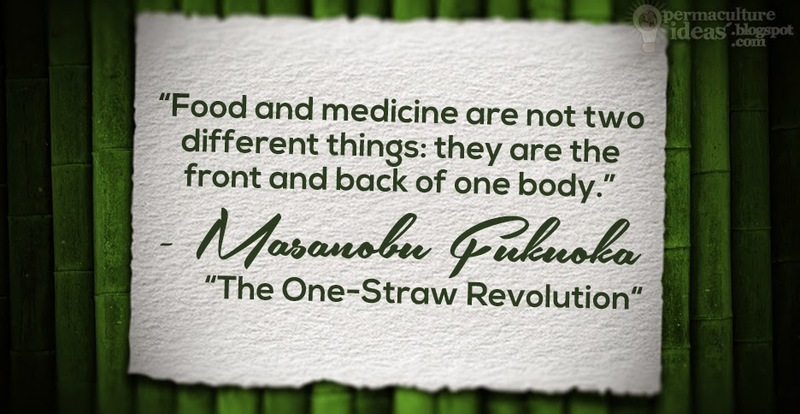 "Food and medicine are not two different things: they are the front and back of one body." 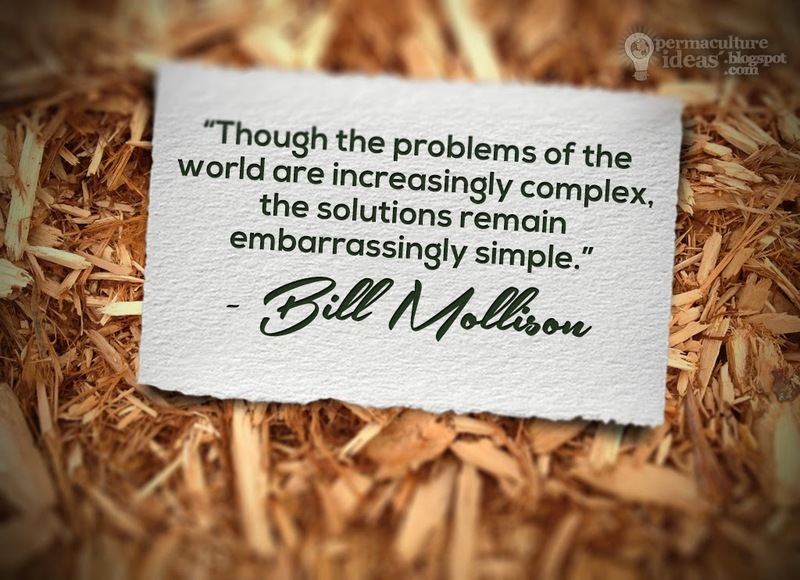 Geoff Lawton has always included that permaculture as a "Design Imperative" system in his introduction. This video from Dennis Decker of www.ourfertileearth.org shows how the team at the Edgewood Gardens Permaculture Project (Florida, USA) have taken their keen observation of the area and using it to re-design the land with that knowledge. They have successfully transformed the area into a rich, resourceful permaculture system. 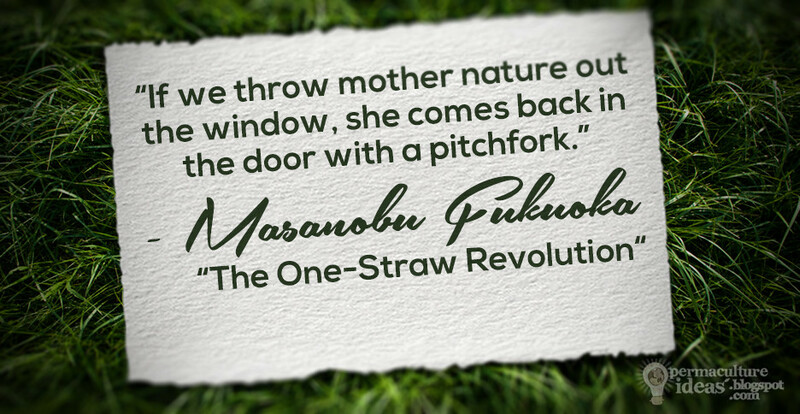 The team at Edgewood Gardens have really gone all out with some permaculture ideas - from utilising the natural therapeutic properties of pioneer plants, and eventually using them as chop and drop mulch, to breaking up soil and providing organic material using plants with strong root systems, like the daikon radish. Multiplicity is key. Creating systems of polyculture promotes harmony and balance of life. The system the they have built here attracts pollinators and beneficial predatory insects, creating an ecosystem that seeks to find order within itself. "So we won't have to spray pesticides", says Dennis, "and we don't have to fertilise, either - because we've added all this fertility in and we're building it in through the plants that we're bringing into the system". Who can deny that living with plants makes life infinitely better? By placing a single plant in a room you instantly make the atmosphere more relaxing and ambient. But that’s not all. We all know that plants take in carbon dioxide and release oxygen which freshens the air, but what about other, more toxic gases? Products that some of us are using in our daily lives are poisoning us without us knowing. I present part one (of two) of a handy guide to just a small fraction of the types of plants you can have inside the house to clean the air and filter out the toxic gases that you may have around you. Part Two can be found here. Attracting beneficial insects to the garden brings many favourable outcomes, and with the Northern Hemisphere entering into Summer soon, this is the perfect to to prepare. Predatory insects like Lady Beetles, Lacewings, Dragonflies and the Praying mantis are a formidable force for natural pest control, while pollinating insect like bees and native bees help fruiting plants provide you with food for the table. Many flowering plants that don't necessarily produce food for the gardener are as welcome in the garden as those that nourish and medicate. Not only do flowers serve as a functional member of the processes within the mini-ecosystem, but they also a bring an element of beauty, which is holds therapeutic properties for all those living in and around the garden. Many flowering plants have minuscule seeds which many gardeners would love to grow, but struggle to find the best way to sew. Bernadette Fox has produced a short, concise video to illustrate her success in the area. Some flowers and shrubs begin their life as a very tiny seed, so tiny in fact that they are practically just dust. Have you wondered how in the world do you plant such tiny seeds? In this video I'll show you step by step on how I sow tiny seeds such as foxglove, coral bells (heuchera), agastache, begonia, rhododendron, hydrangea, delphinium, primrose, and the list goes on. This is just a quick little video that I hope will give you the insight to grow those sometimes difficult dust-like seeds. Happy gardening! by Bernadette Fox. You can subscribe to Bernadette's channels so you don't miss any of videos about gardening, crafting, and gourd art! Music by: Josh Woodward "Adventures of the Death Dreamer"
Disclaimer: All video, editing, and audio were done by Bernadette Fox with the exception of the music which has been licensed to her via Creative Commons. 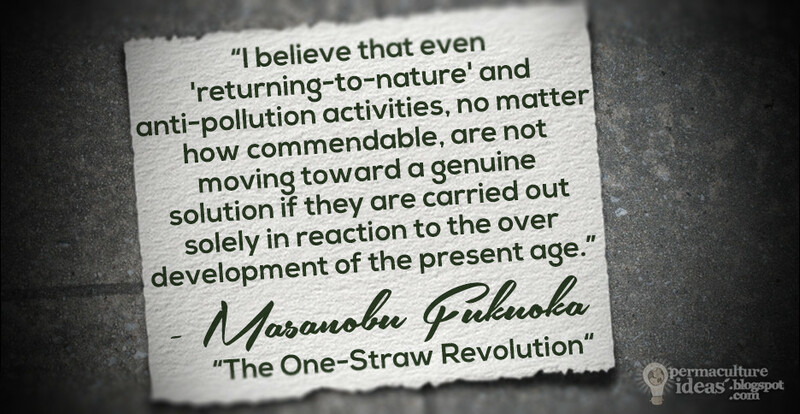 ...and of course, Happy International Permaculture Day 2014! 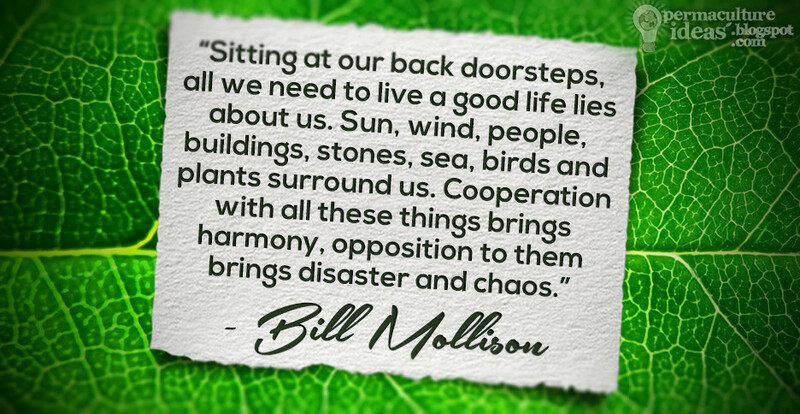 This is the first Permaculture Ideas post in over a year, so here's a celebrated quote from Bill Mollison. Really looking forward to sharing some wonderful articles, inspiring ideas, engaging videos and motivating quotes ...regularly again. Tune in! "Like Us" on Facebook, "Follow Us" on Twitter.